On June 3, Volcán de Fuego erupted in Guatemala, tragically affecting more than 1.7 million people. With 3,100 people now evacuated, some of Guatemala’s critical infrastructure and farmland have been completely destroyed. Volcanic ash covers a 12-mile radius and in some areas, entire villages have been buried. This eruption caused more destruction in comparison to others, because of the potent mix of volcanic material it released. The volcanic material released by Fuego was a mix of ash, rock, and volcanic gases which erupted rapidly, leaving almost no evacuation time. As a result people, communities, and towns were trapped. At least 110 people are dead and over 200, including children, are still missing. The situation is becoming increasingly dangerous on the ground, making it very challenging for the local government to respond. And yet, as search groups are reaching a standstill, the threat of another eruption remains high. Fuego is still an active volcano, but if or when another eruption will take place, is virtually impossible to predict. To make matters more stressful, there are two other very active volcanoes in the region. The 34 additoinal volcanoes spread across Guatemala are not extinct but dormant, meaning eruptions are not necessarily out of the question. While the possibility of another eruption is difficult to predict, two things remain certain. First, despite the standstill in some search and rescue initiatives, the suffering continues. And second, CMMB has committed to continue supporting recovery and emergency efforts in Guatemala. Our Catholic healthcare partners are safe and on the ground, distributing resources to help with search and rescue. Our shipment of 22 pallets of medical products, primarily antibiotics and medical gloves, is valued at over US$5 million. The medicine, which was delivered directly to individuals helping with the relief efforts on the ground will be used to treat those both immediately affected by the eruption, and support the operations of health facilities in anticipation of supply chain disruption. Our Medical Donations Program has allowed us to distribute over US$2 billion worth of medical supplies, medicines, and health commodities to healthcare partners in over 120 countries. Whether we are distributing resources to reach women and children living in extreme poverty, or to the victims of natural disasters like the volcanic eruption in Guatemala, CMMB is dedicated to providing service to those who need it most. 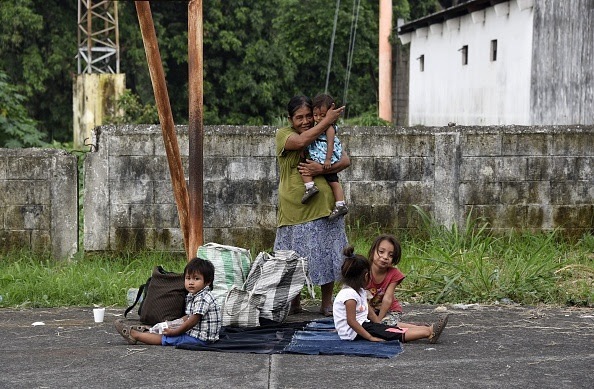 And right now, women and children in Guatemala need our support. Some of the resources our Medical Donations Program has provided during emergency or times of need. Continue to check CMMB.org for more updates as our relief efforts continue.